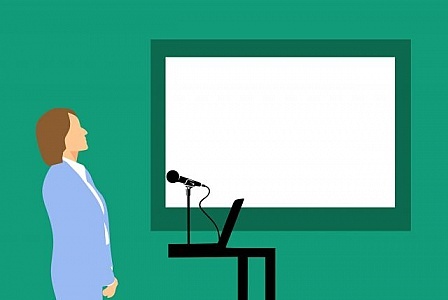 Illustration of woman teaching in front of whiteboard, with microphone and laptop computer. 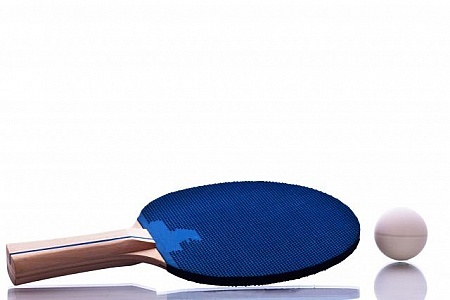 Ping pong rackets and ball. 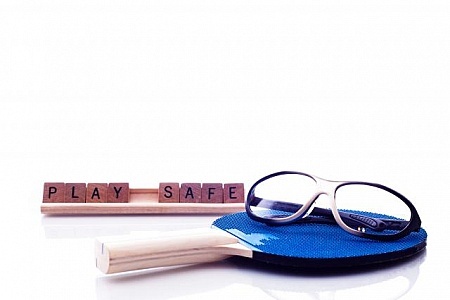 ping pong rackets and glasses and play safe text. 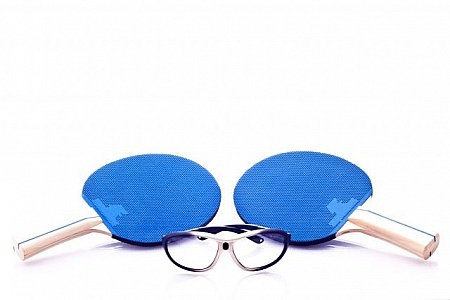 ping pong rackets and glasses.